Eilean Donan shot on iPhone 6. Eilean Donan (Island of Donnán) is a small tidal island. 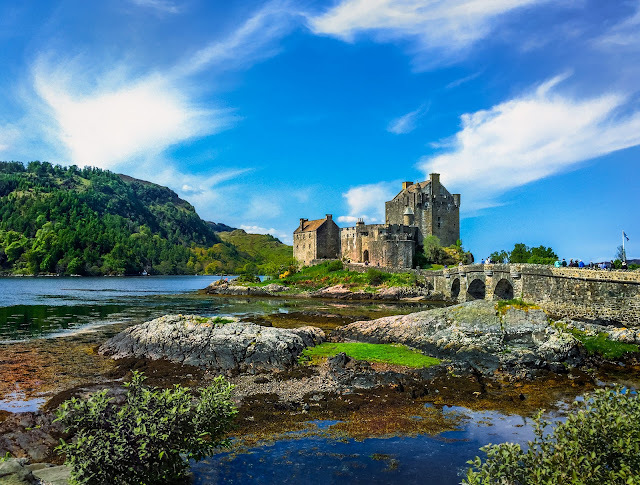 It truly is an island in a sense that the castle sits on thrrrree lochs (or lakes), Loch Duich, Loch Long and Loch Alsh, in the westerrrn Highlands of Scotland. The castle was founded in the thirrrrteenth century, and became a strrrronghold of the Clan Mackenzie and theirrrr allies the Clan Macrae, a staunch supporrrterrrr of the Jacobites. Those of you who arrrre big fans of the TV series The Outlanders arrrre well familiarrrrr with the Jacobites.